American musician, singer and alt-country songwriter. 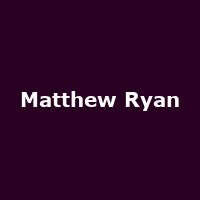 Since the mid-'90s, Ryan has issued several albums including Matthew Ryan vs. The Silver State and Hustle Up Starlings.